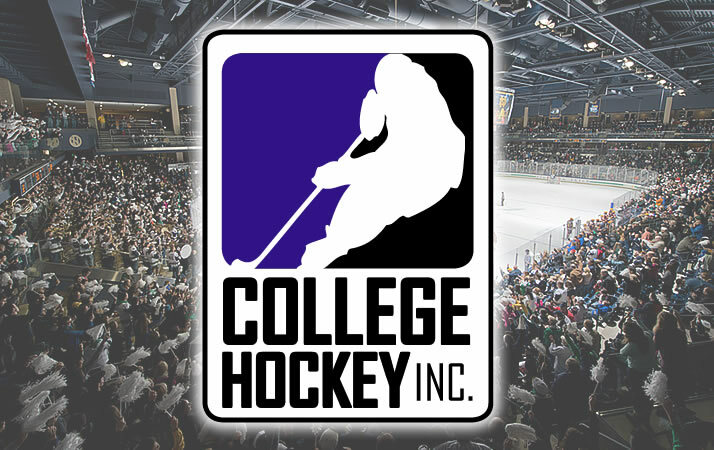 About College Hockey Inc. - College Hockey, Inc. In less than 10 years of existence, College Hockey Inc. has helped impact NCAA Division I men's college hockey through extensive marketing and informational efforts designed to raise the sport's profile and to encourage elite young players to pursue a college hockey career. College Hockey Inc. has reached thousands of young players and their families to promote the college hockey experience through grassroots and mass communications initiatives. Foremost among these efforts are our College Hockey Summits, gatherings of up to 75 top players in cities across North America that inform the players and their parents about college hockey and introduce them to some of the sport's coaches. Feedback from those sessions has been overwhelmingly positive. Former college players currently in the NHL often participate to talk about their undergraduate experiences. Whether addressing individual teams or large groups, the message is the same: the college hockey experience is the best in the world, thanks to an elite on-ice product, outstanding educational opportunities and the unique campus environment. In the 2017-18 season a record 32% of NHL players came from college hockey backgrounds, making college hockey the fastest growing development path to the NHL and a bigger source of talent than all of Europe. College Hockey Inc.’s message highlights the success of those players to illustrate that college hockey is a proven path to the NHL. Also noted is the fact that the average NHL career lasts less than five years, and regardless of how good a player is, he should anticipate retirement at some point. A college education gives players a leg up when it comes to the next step in life. Finally, the college experience – from the student sections at games to student-athletes' experience of living on their own – helps prepare players for their next steps in hockey and in life.